The Whisky Shop is the UK’s largest chain of whisky stores. They have 20 outlets across the country, and are reasonably accessible. They do a range of tasting events, and stock a good range of the main Scottish single malt whiskies. Generally speaking, in the Whisky Shop there’s something for everyone, though they clearly do a lot of their business through relative newcomers or gift buyers, judging by the conversations I overheard the last time I was in there. However, their Japanese selection is a bit dire, I must say, and they’d not even got Chichibu registered on their computer system. I also compare this to the other whisky shop where I live Gauntleys, in Nottingham, which has a fabulous selection of Japanese single malts and blends. Anyway, one of the interesting things about the Whisky Shop is their Glenkeir Treasures range, where they buy casks direct from a distillery, shove them into special made casks that they can then display in stores. They are: “are bottled at 40% strength, making them easy drinking and accessible”, and come in a selection of sample sizes from 10cl through to a half-litre bottle. 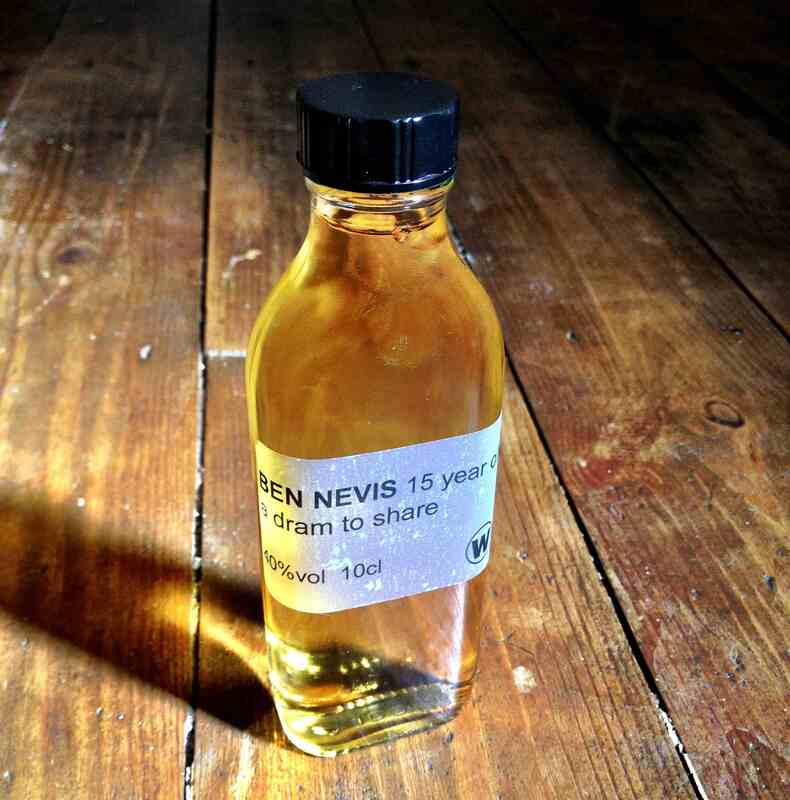 When I was in recently there were three to choose from, and the one I bought was a Ben Nevis 15 Year Old. 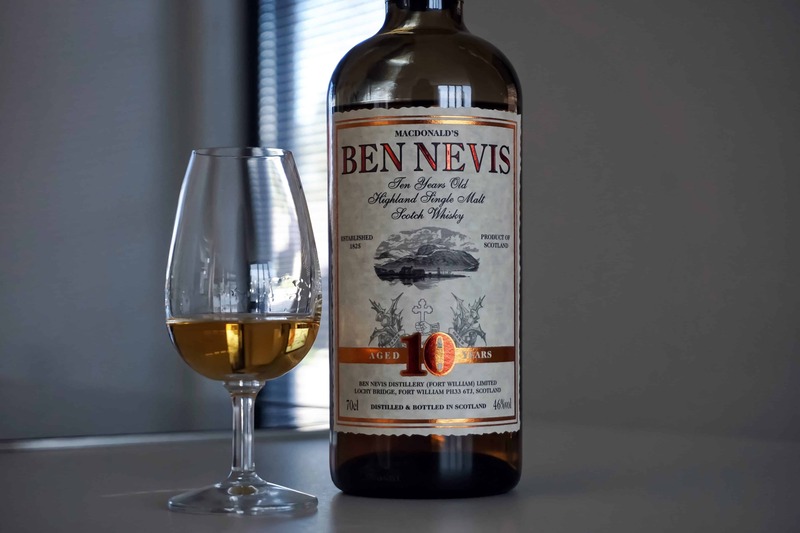 Founded in 1825, Ben Nevis is located at Lochy Bridge in Fort William, next to Ben Nevis mountain. You don’t often see much of their whiskies around, so I was certainly intrigued and took one of the 10cl bottles. Colour: pale gold, sunglow. On the nose: a big slap-round-the-face of vanilla. Lemons. Dark, bitter chocolate, buttered toast. In the mouth: that oaky vanilla really is very strong, possibly dominating at first, but then it settles into some gentler, liqueur, bitter cocoa. Then… falls a little flat for my palette. It’s wonderfully oily rich in malt, there’s a little fire. It’s good, and has a great nose, but I can’t help feel that the oak and vanilla notes really overwhelm this one. Anyway, certainly worth popping into a store to see what’s available. Did I say you can get a free taster?